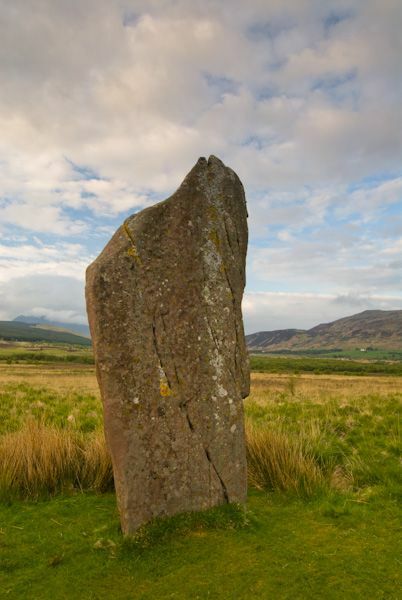 Think of Machrie Moor as a collection of prehistoric monuments rather than a stone circle, and you will be closer to the mark. The remains of up to 10 Bronze Age circles, hut circles, standing stones, and cairns are clustered in close groupings around the moor, to form one of the most important sites of its kind in all of Britain. 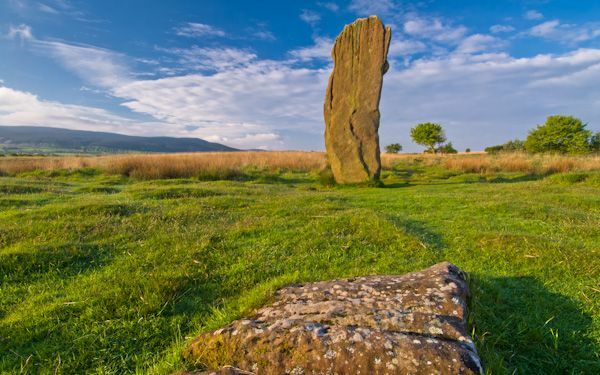 The stones were erected over a long period of time, and cannot be considered as a single, cohesive monument. 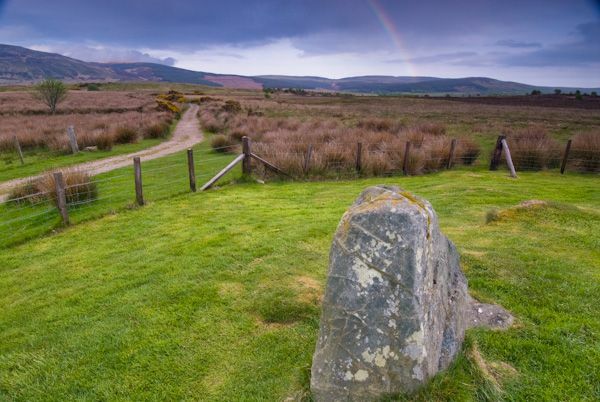 The first monument you come to on the track that leads to the moor is Moss Farm Road Stone Circles, sometimes known as Machrie Moor circle 10. This circle around a central cairn is set well apart from the other major monuments. 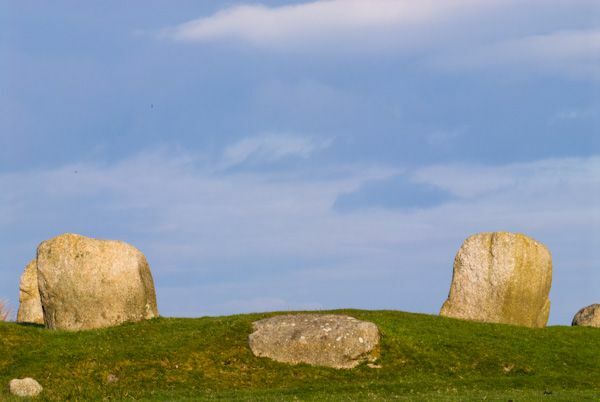 You then reach Circle 5, a double circle with an inner ring of 8 small granite boulders surrounded by an outer ring of 15 boulders. At the centre of the rings is a cist burial. Circle 5 is otherwise known as Fingal's Cauldron Seat. According to legend, the giant Fingal sat down to cook a meal here and tied his dog to a stone in the outer circle with a hole through it. Close by is Circle 4, a small circle of which only 4 stones still remain. Circle 3 has only a single large stone still erect, with the stumpy remnants of 3 others. Excavations here in the 19th century revealed a pair of cist burials. 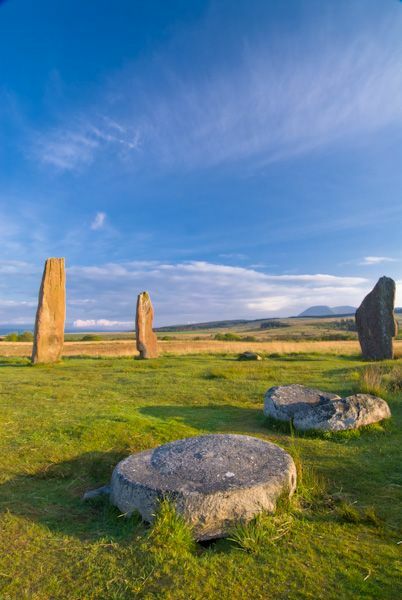 The most interesting and impressive of the remains is Circle 2, with three large stones still standing, near a millstone crafted from a fallen stone in the 19th century. Excavations at that time revealed remains of two cists within Circle 2. Circle 1 is an elliptical arrangement of alternating granite and sandstone blocks. Next to this is Circle 1a, also known as Circle 11, which is similar in arrangement to Circle 1. Investigation shows that these circles were erected directly on top of timber rings. 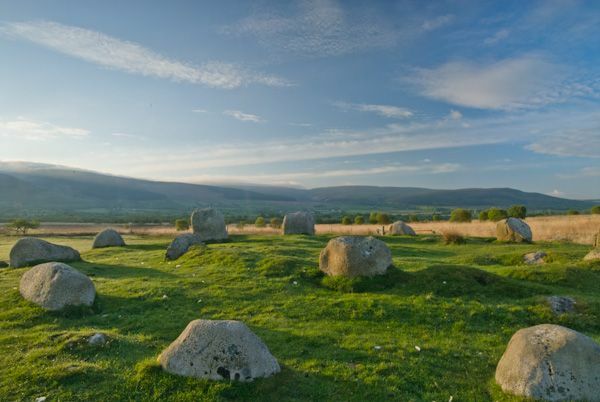 Why are so many circles placed on the moor? One theory is that the circles form several astronomical alignments, notably with the midsummer sunrise and northern full moon at midwinter major and minor standstills. 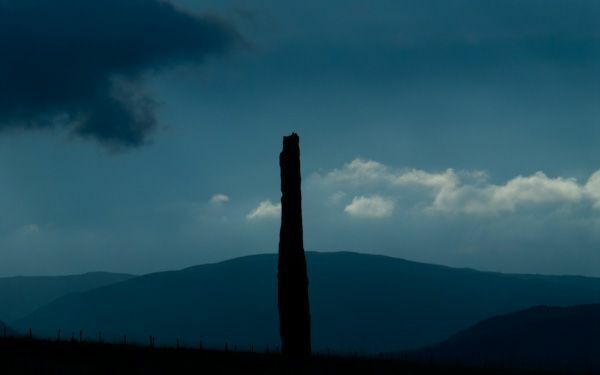 That theory may never be proven, but what is certain is that Machrie Moor is a special place, an amazing prehistoric monument of great complexity and no little sense of mystery. Come here at sunrise and see if you don't agree! Location: Off the A841 near Machrie. Signposted. There is a level, but long walk of over a mile to the major circles. 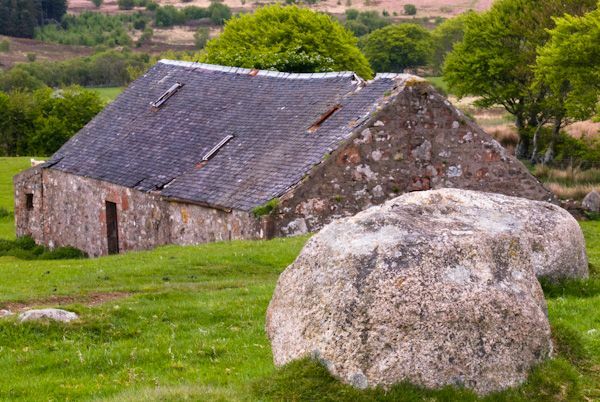 Nearby accommodation is calculated 'as the crow flies' from Machrie Moor Stone Circles. 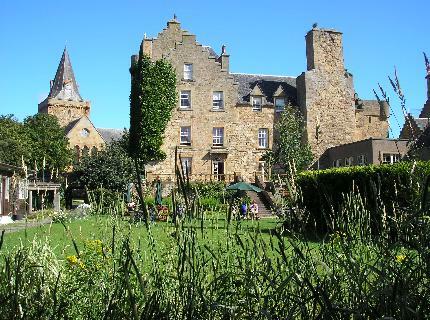 'Nearest' may involve a long drive up and down glens or, if you are near the coast, may include a ferry ride! Please check the property map to make sure the location is right for you.